For additional information about this book, visit the website www.thespiritofvillarosa.com. Marc Ashton, victim of a brutal kidnapping, vows not only to escape his captors but to tell the amazing life story of his remarkable father. When Marc Ashton was kidnapped at gunpoint in Haiti in 2001, he made two promises: he would escape his captors, and he would tell his father’s amazing life story. His father, Horace Dade Ashton, was a founding member of the Explorers Club, “a gentlemen’s club for adventurers and globe-trotting scientists.” The elder Ashton showed his passion for adventure by visiting many perilous, yet captivating, corners of the world at a time when travel was not easy. Horace Ashton photographed the Wright brothers’ first flight, traveled with Presidents Theodore Roosevelt and William Howard Taft as their photographer, and documented the 1906 San Francisco earthquake. Dubbed the “original Indiana Jones,” Ashton shared his journeys through his countless lectures, films, prize-winning photographs, and writing. In 1940, President Franklin D. Roosevelt appointed Horace Ashton Cultural Attaché to the U.S. Embassy in Haiti. Ashton moved his young family to the island, where their life became “exceptional, most unusual, and fascinating.” They purchased Villarosa in 1953 and transformed it into their magnificent home. Virginia-born Marc arrived in Haiti at age one, when Horace accepted his diplomatic post. Marc remained in Haiti most of his life, becoming an entrepreneur, marrying a Haitian woman, starting a family, founding numerous businesses, and treating all he knew with respect. He and his family lived in Villarosa since he was fourteen years old. Life changed dramatically when Marc and his wife, Myriam, decided to sell Villarosa in 2001, and the government made an offer to purchase the property for the prime minister's residence. Days later Marc’s ordinary life became a struggle for survival. While in captivity, Marc recalls his father’s advice and beliefs, which help him outwit his captors. 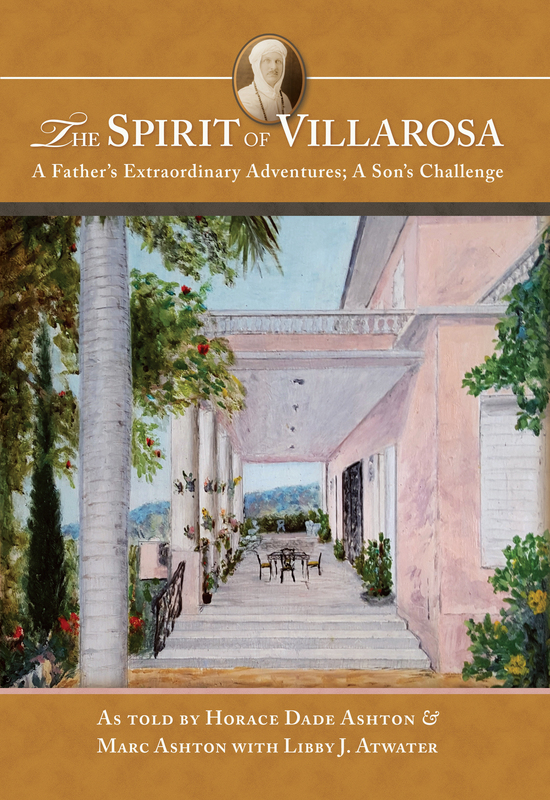 The Spirit of Villarosa is a glorious account of Horace Ashton’s remarkable adventures—a fabulous story in itself—juxtaposed with Marc Ashton’s own harrowing experience of being kidnapped by thugs, who clearly planned to kill him. This book reads like an exciting adventure novel; the fact that it’s a true story makes it all the more exhilarating. Marc Ashton was born in Washington, D.C. and arrived in Haiti as an infant, when his father became cultural attaché to the United States Embassy. Marc remained in Haiti most of his life, where he married, started a family, founded numerous businesses, and employed thousands of people. Now retired, Marc lives in Boca Raton, Florida, where he is active in the community. Libby J. Atwater has helped others tell their stories for more than twenty-five years. She has written ten nonfiction books, and tales from her own life appear in several anthologies. Her award-winning memoir, What Lies Within, was released in 2013. She lives in Southern California.